Plant the bulbs outside once the risk of frost is gone and the cold air is replaced by warm weather. 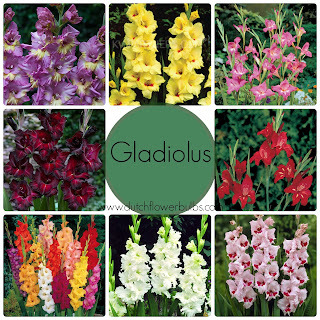 The Gladiolus loves the sun and grow beautiful in the warm weather. Loosen the soil a bit with a shovel or gardenplanter and mix in a few inch of compost. They like very well-drained soil. Cover up the hole and water it thoroughly. Make sure that you use stakes when planting tall Gladiolus, otherwise they can fall down when being to tall. Layer the hole with mulch to keep your soil moisted. Water your bulbs regularly during the summer, also to keep your soil moisted. This is especially during the hot summerdays. Remove dead leaves so the plant can use all his energy in new flowers. When all the flowers are gone cut off the stalk. 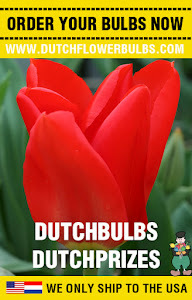 If you live in zone 7 or up, you can leave the bulbs in the ground. But layer them with a few inch of hay or straw to protect them against the winter. When living in a colder zone dig the bulbs up and make them clean and dry. Store them in a dark, dry and cool place. Wrap them in paper and check back every two weeks if it has no pests or is rotten. The next Spring you can replant them, once again when the chance of frost has passed.